Who isn’t a sucker for entertaining packaging? Well we know I am, hence my pick for today’s wine review. “This rebellious blend is sure to incite your senses!”, so says the tag attached to the Red Revolution, wine bottle. Now, witty tag lines don’t necessarily move me, and in this case, I didn’t take Revolution Wine’s self-praise into consideration, especially noting that the wine was only $10.95 and more ‘new school’. To put it plainly, I didn’t expect much return for my $10.95 investment, but boy was I wrong. 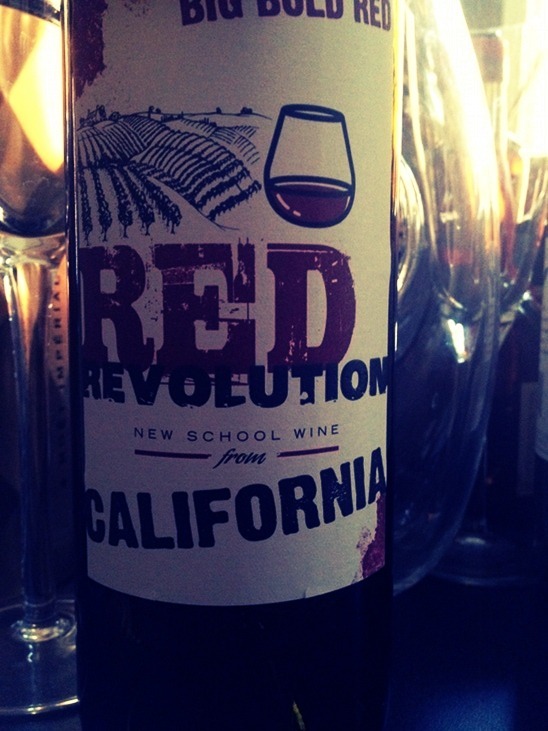 The Red Revolution wine is a red blend of Syrah, Grenache and Barbera, even though you couldn’t tell it from the bottle labeling – no varietals are listed. On colour, it holds a deep ruby red hue. On the nose, you pick up scents of plum, blackberries and strong spice, and on the palate, the smooth, full, yet fruit abundant, taste of the syrah rings through, loud and clear. Your mouth will experience tastes such as raspberries, strawberries with some spice, blended to perfection, to form up a medium length finish. The folks at Revolution Wines weren’t kidding when they said this wine would “incite your senses”. This is a fun, no pretence wine that works well for those everyday situations that require a good and simple red. I can see Red Revolution becoming a staple here, on my wine rack and pairing famously with my homemade pizza’s and chilli’s!